Barcode tags are available in any shape, size or color. 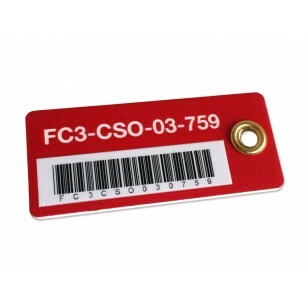 Any type of barcode format can be printed to comply with your job specifications. 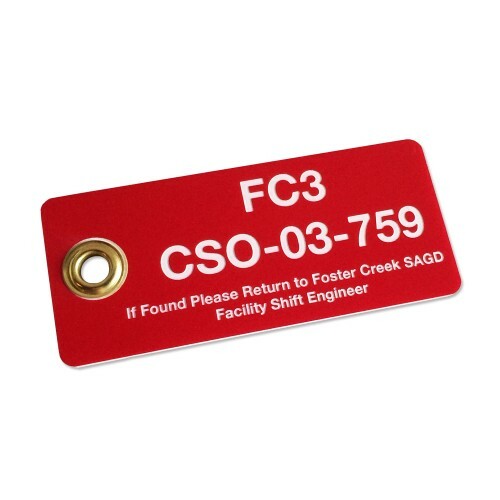 We can customize your tags to meet any industrial jobsite needs and we can also provide specifications to ensure the product meets or exceeds your safety material requirements such as material flashpoint temperatures, melting points or grommet strength tests. Please request a quote for custom oilfield tags, safety tags or barcode tags. No minimums quantities required.